Barbecue isn't something I have often, but occasionally I crave it like a fiend. Just reading a barbecue menu will make me salivate. I'm not exaggerating. Since I can't make true barbecue at home (I've made some tasty slow-cooked, pressure-cooked and oven-roasted approximations), when I get it, it's a real treat. 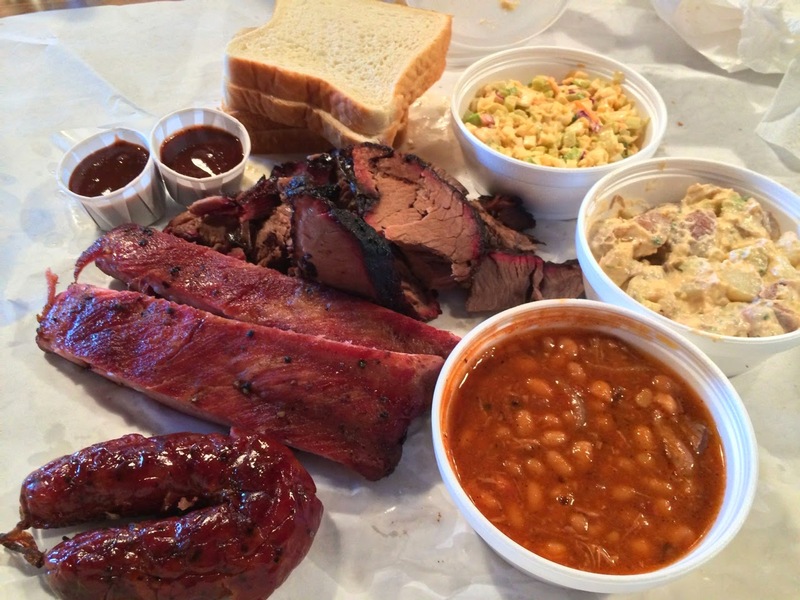 I find Texas barbecue to be particularly satisfying. As good as DC's Hill Country is, I find you gotta go to the source to get the real thing. Which is why upon landing in Texas recently, I headed straight for the Lockhart Smokehouse and enjoyed the best barbecue of my life. Wanting a little bit of everything, we ordered brisket, ribs and sausage. The brisket was amazing: intensely smoky, perfectly seasoned and fairly lean. A squirt of the house barbecue sauce goes great with it. The tender dry-rubbed spareribs were my favorite. We also loved the grilled sausage, based on a recipe from Kreuz Market in Lockhart, Texas. The sides offer something special too. The baked beans were perfectly balanced: a little smoky, a little spicy and not too sweet. I also loved the house coleslaw, which came with a spicy kick. The potato salad was our least favorite, but it wasn't bad; first potato salad I've had with meat in it. We ate a lot of other great meals during our long weekend in Dallas, but this one was the best. We're still talking about it actually. Clearly, we're not the only ones who love it. When we showed up on a Saturday 15 minutes before their 11 a.m. opening, there was already a line down the block. Our bellies full from Lockhart Smokehouse, we headed over to the Southfork Ranch, famous as the home of Ewing family from TV's Dallas. You can read about our visit there on Dallas Decoder. Lockhart Smokehouse, 1026 East 15th Street, Plano, Texas (downtown). (972) 516-8900. Continuing this week's theme of dining in the Southwest, here is a rundown of all the great food that Chris and I enjoyed when we were in Dallas recently. 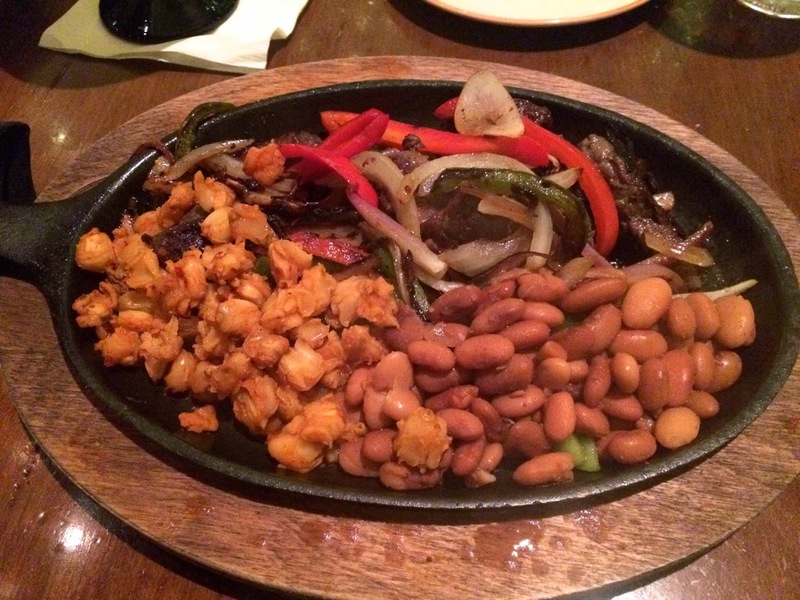 For two guys who love good Mexican and barbecue, this was a great place for us. When we go to New York, we love starting our day with a diner breakfast, so we were very excited to find a great diner in Dallas' West End. Ellen's Southern Kitchen fit the bill perfectly. 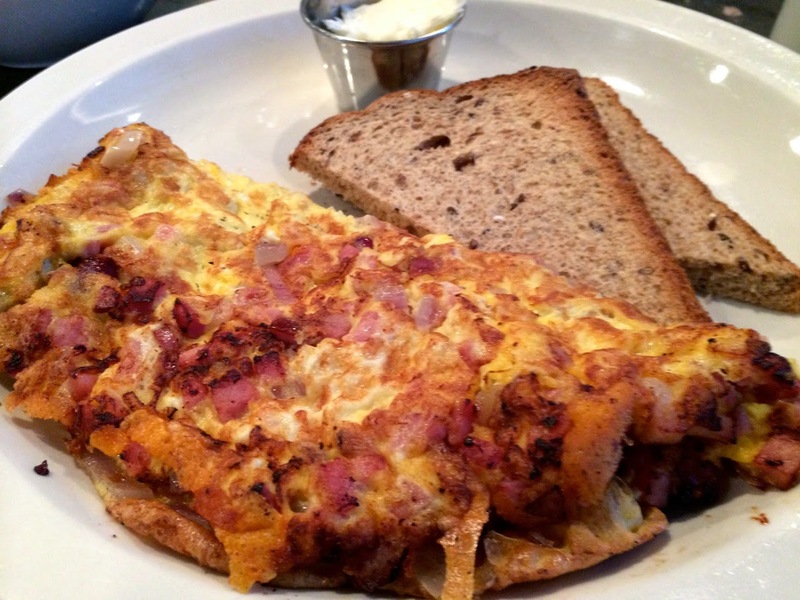 The breakfast menu is short but varied, including the usual diner staples like pancakes, french toast and omelets, which we sprang for with cheddar cheese, onion and ham or bacon. There's also interesting southern dishes like Cajun shrimp & grits or poached eggs & grits ("grits rule" is the restaurant's motto). There's even a couple of Mexican choices. Perhaps your trip to Dallas includes a spot of shopping at the Northpark Center, a varied collection of shops from the mid-range (American Apparel, Anthropologie) to the high-end (Gucci, Versace) anchored by Dillard's, Macy's, Neiman Marcus and Nordstrom. 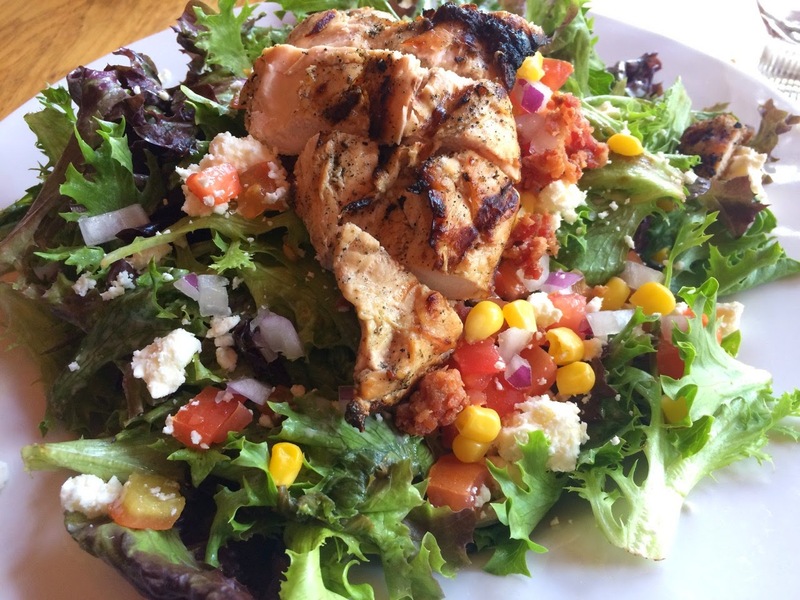 After a few laps around the square mall, you'll be ready for lunch. La Duni Latin Kitchen and Coffee Studio isn't a bad place to cool your heels. I had a really good roasted turkey sandwich on wheat bread with green apples, cherries, pecans, white cheddar and lime-mustard vinaigrette. I was good and got mine with a side salad, but I was so glad Chris sprang for the yucca fries, since they were really good. 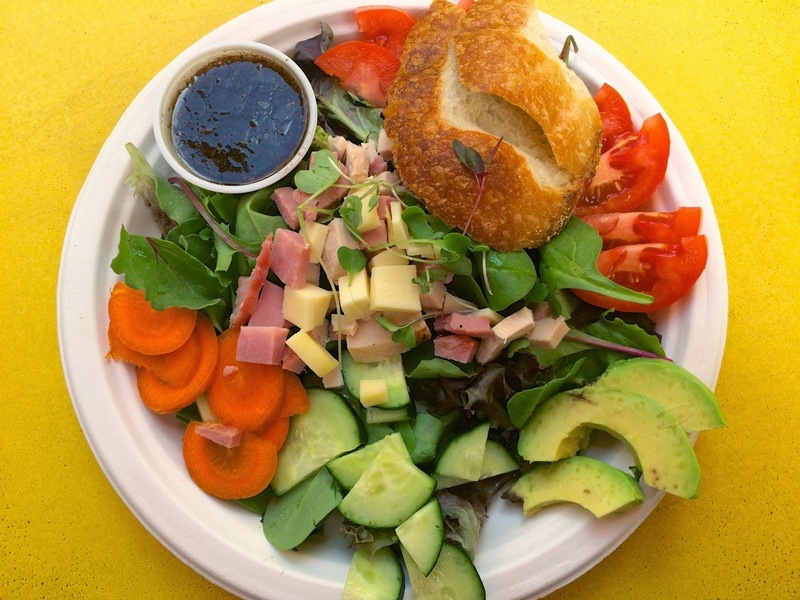 For something a little more elegant that's also conveniently located in the Uptown shopping area of stores clustered around Travis and Knox Streets, Le Bilboquet is fine place to get lunch. If you can score a front patio seat on a nice day, the people watching can't be beat. Although they were out of the potato-crusted snapper with ratatouille and wine sauce I wanted to order, I really enjoyed the grilled salmon with bearnaise, braised endive and roasted tomatoes. The fish was perfectly grilled and I loved the vegetable accompaniments. I'd never had endive braised before and it was really good, with its bitter edge noticeably reduced by the cooking. The crumb topping on the roasted tomatoes was a nice touch. 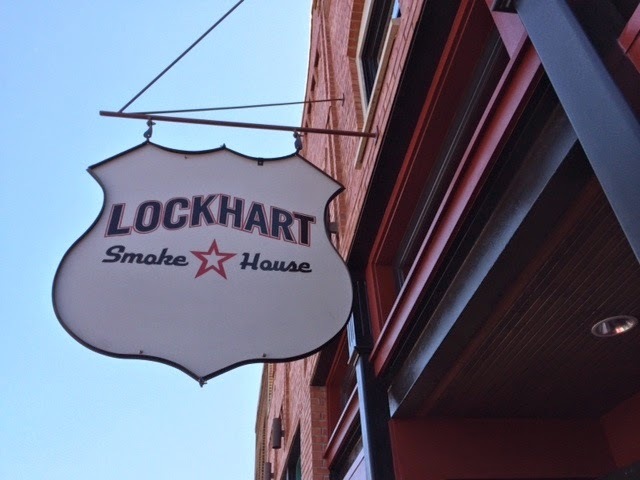 For something on the opposite spectrum of elegance, but absolutely divine on the scale of flavor, we hit up the Lockhart Smoke House in Plano, Texas. Probably the best barbecue we'd ever had. It was so good, I gave it its own post. We really lucked out that the weather in Dallas while we were there was gorgeous. Sunday was a perfect 70 degrees, sunny with a light breeze. Since we were there at the beginning of spring--and Dallas, like a lot of the U.S. had a cold winter--it felt like the whole city came out to play that day. 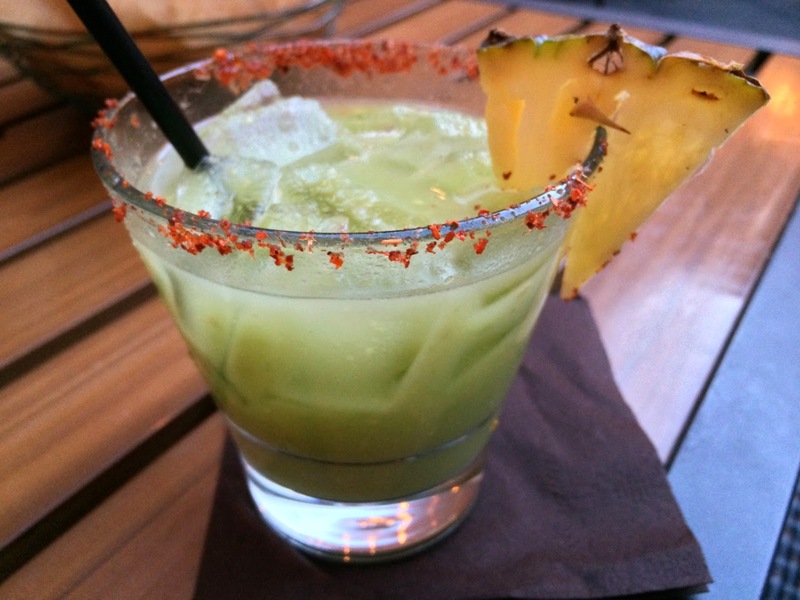 While strolling through the Klyde Warren Park, we ducked into Savor for drinks. The modern glass building makes it feel like you're almost still outside. Although we were tempted by the snacks on its "gastropub" menu, we just had glasses of white wine here, but I didn't want to exclude it, since it was a cool spot. Let's not kid ourselves. When Chris and I are this close to the border, at dinner time we want Mexican. And Dallas has some great Tex-Mex establishments. 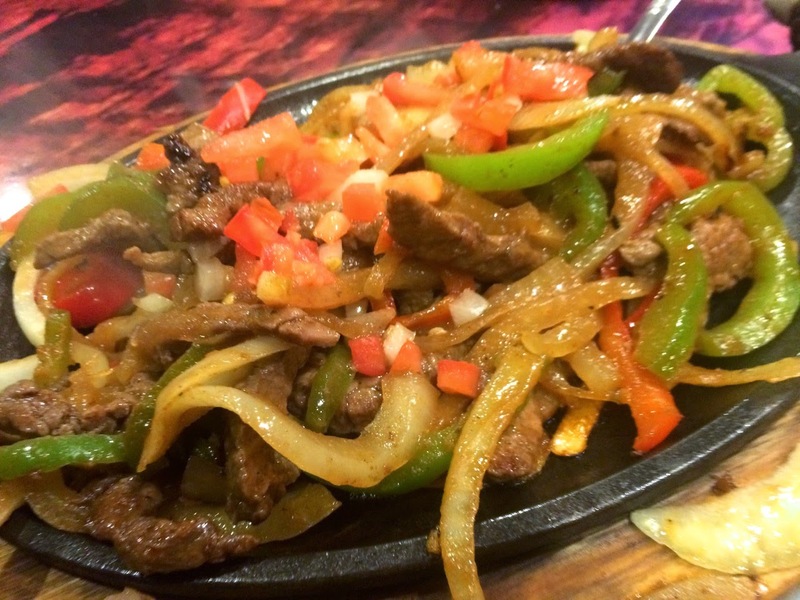 We hit up Meso Maya on our first night and weren't disappointed. I'd read the chicharrones were really good, so we started with a plate of the pork dish served with salsa verde and corn tortillas. Meso Maya makes their chicharrones with pork jaw, instead of pork skin, so the results are meatier and crispy around the edges rather than crunchy all throughout. 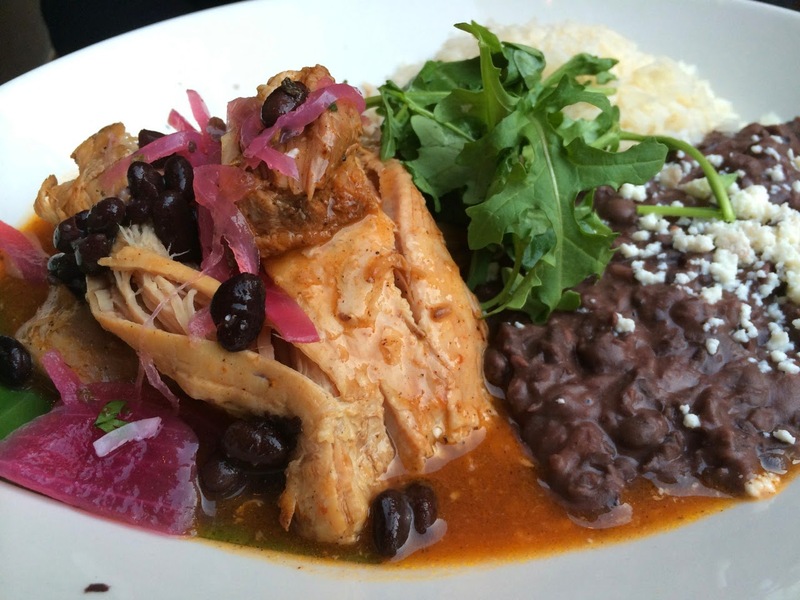 My pollo con mole was tasty, but the Chris's cochinita pibil was even better. The Yucatan-style braised pork came with an orange-anchiote sauce, pickled red onions, habanero salsa and a side of homemade corn tortillas, which made it easy to treat the dish sort of like fajitas. At Jorge's Tex-Mex Cafe, we had simpler meals--I had chicken enchiladas and Chris sprang for the chicken Mexican mini tacos--but the food no less satisfying than at Meso Maya, as everything was well made. One of my gripes about Mexican food in D.C. is that the sides of beans and rice are rarely very interesting. Here, they were excellent, as they should be. A caution about Jorge's: they tend to close early on some nights (7 p.m. on Sundays, 8 p.m. Monday-Wednesday), so plan accordingly. 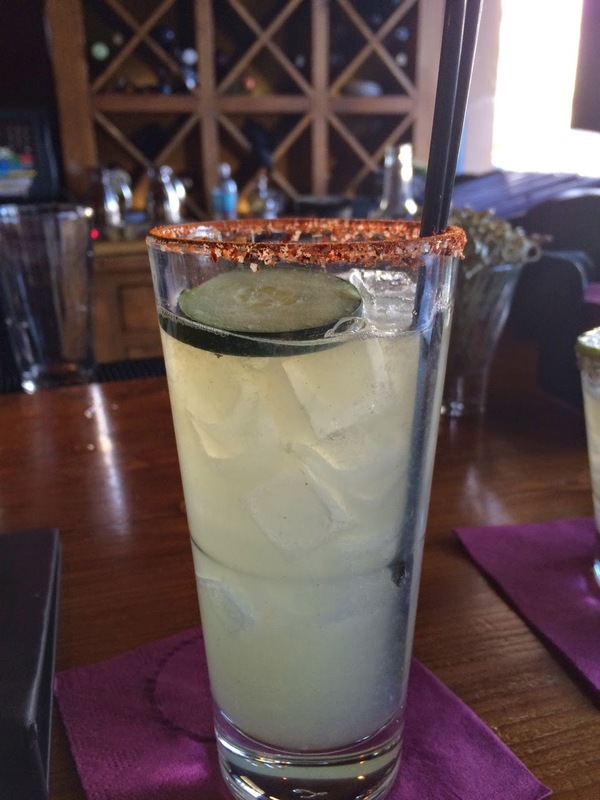 Both Meso Maya and Jorge's have a great bar menu with interesting margaritas. At Meso Maya, Chris enjoyed a refreshing cucumber margarita, while I loved the avocado margarita served on the rocks with tequila blanco, pineapple and fresh avocado. 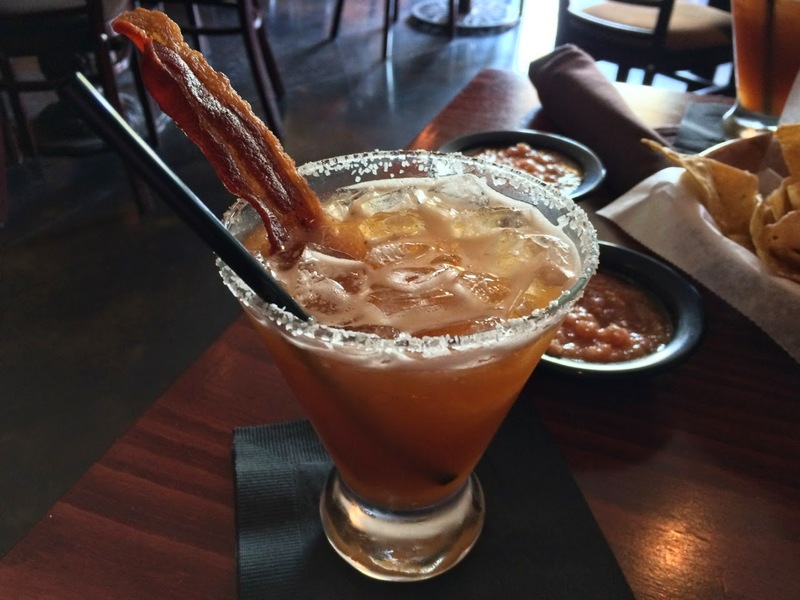 At Jorge's we enjoyed the smoky-spicy BBQ margarita, made with mezcal and barbecue sauce and garnished with a slice of bacon. Ellen's Southern Kitchen, 1718 N Market Street (at Corbin Street), Dallas, Texas (West End). (469) 206-3339. La Duni Latin Kitchen and Coffee Studio, 8687 N.Central Expy #1516 (in Northpark Center), Dallas, Texas. (214) 987-2260. Le Bilboquet, 4514 Travis Street (at Armstrong Street), Dallas, Texas (Uptown). (469) 730-2937. Reservations: Open Table. Jorge's Tex-Mex Cafe, 1722 Routh Street (at Flora Street), Dallas, Texas (Arts District). (214)720-2211. Reservations: Open Table. Meso Maya, 1611 McKinney Avenue (near the Woodall Rodgers Freeway), Dallas, Texas. (214) 484-6555. Reservations: Open Table. Savor, 2000 Woodall Rodgers Freeway (between Harwood and Olive Streets), Dallas, Texas (Arts District). (214) 306-5597. Reservations: Open Table. I'd never heard of "velveting" a chicken breast, but Tanis writes how this Chinese technique can cook an ever-popular boneless-skinless chicken breast without drying it out. It involves an egg white and cornstarch marinade. New York Times: "Red Wine Is the Drink of Choice on ‘Scandal’ and ‘The Good Wife’," by Eric Asimov. This article caught my attention because it mentions my current favorite show--The Good Wife. Asimov writes about how red wine has become an important character device in several popular shows, observing that it's particularly popular among strong women characters like Wife's Alicia Florrick and Scandal's Olivia Pope, and the implications of its use on the small screen. Washington Post: "Unearthed: The GMO Debate: 5 Things to Stop Arguing," by Tamar Haspel. The debate about genetically modified organisms (GMO) in our food supply is complex and charged. I praise Haspel for bravely wading into it. In this latest Unearthed column on the subject, she looks at tired arguments on both sides, an important step for moving the discussion forward. Perhaps the best news is in the note to readers: Haspel reveals that will continue Unearthed for another year. The Wall Street Journal: "Salt: The Other Shaker Cocktail Recipes Are Calling For," by Luke O'Neil. Cooks know that salt is a critical seasoning in cooking for enhancing and bringing out flavors. Bartenders too are discovering its use in cocktails beyond a margarita glass's rim. O'Neil's article discusses, for example, how salt can soften the edge of bitter flavors, making certain amari and bitters-loving drinks more palatable for serving alongside food. The Wall Street Journal: "Texas’s Olive Oil Boom," by Ariel Ramchandani. California's olive oil industry has gotten a lot of press lately, now it's time for Texas's burgeoning industry to get some attention. I love that the Tuscan-inspired building in the article's photo is located in Florence, Texas. NPR: "Tracing A Gin-Soaked Trail In London," by Ari Shapiro. London has a storied history with gin, which Shapiro chronicles here from gin's abusive 1700s boom (when England's per capita annual consumption of gin reached a staggering 48 bottles) to the current boom of small-scale distilleries making higher-priced gins. Smithsonian "Want to Know How to Make Great Pizza? Consult the Guy Who Wrote the Bible on It," by Laura Kiniry. When it comes to pizza, Tony Gemignani is apparently one of the most expert people around, having done so for the last 22 years; he currently owns 7 pizza restaurants and is the official U.S. Ambassador of Neapolitan Pizza. And, yes, he wrote the bible on it. Thrills: "The 16 Essential Regional Burger Styles in America," by Adam Lapetina. I knew there were regional styles of pizza, but burgers? I had no idea. The Aubergine Chef: "Pumpkin Spice Latte Creme Brulee," by Jason Shriner. It's fall, which means that pumpkin spice whatever is everywhere. While Starbucks' pumpkin spice latte may not actually contain pumpkin, The Aubergine Chef found that the popular squash and coffee do work well together in this inventive Creme Brûlée. Shriner's advice on torching creme brûlées? Skip the so-called kitchen torch and go for the real deal. Food52: "Mimi Thorisson's Butternut Squash Gratin," by Mimi Thorisson. Food 52: "Butternut Squash and Saffron Risotto," by Emiko Davies. It's fall, so I want to cook with squash, especially butternut, which is my favorite. I often roast cubes of it for dishes like crostini and grain bowls. These Food 52 recipes use butternut squash in different ways: folded into a rich gratin and as a key ingredient in a golden risotto. Both sound really delicious. 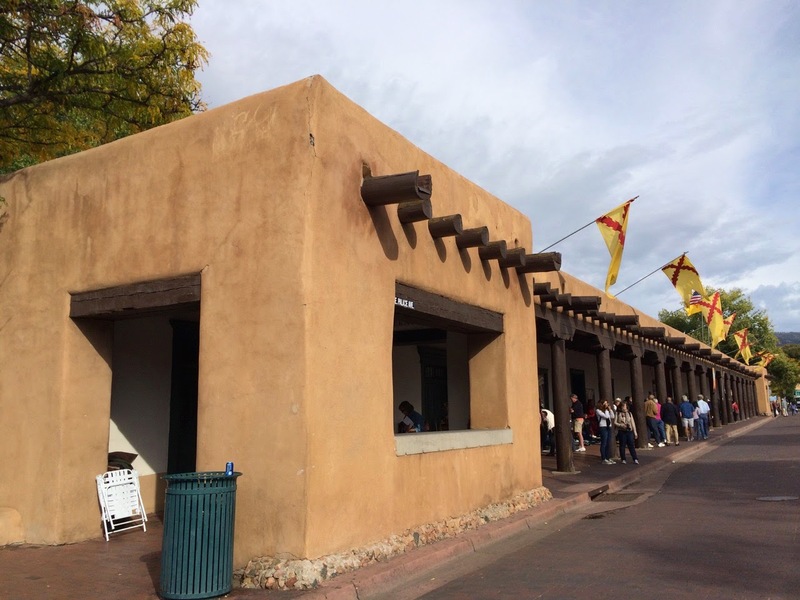 In today's other post, I talked about all the great places we ate and drank at in Santa Fe. Chief among those was Secreto, a craft cocktail bar with the perfect mix of creative and classic cocktails, as well as friendly service and plenty of indoor and outdoor seating. If and when I get to Santa Fe again, I will definitely be visiting Secreto. The drink was created by Secreto's bartender Chris Milligan, who also blogs about cocktails on his site, The Santa Fe Barman. According to his post about the drink, he created it with local flavors in mind and smokes the sea salt himself at home (for a good commercial version, I recommend The Spice and Tea Exchange). To watch Milligan in action, check out this video. To make this, you're going to need a Boston shaker, since you'll be mixing the cocktail in the glass half and filling the inverted metal half with sage smoke. To smoke the sage, first set the metal cup on top of two upside-down pint glasses as shown above. Hold the leaves in one hand under the cup so the smoke will go up into the cup (and not set off your smoke detector--you might open a window before doing this). Then, using a lighter or several matches (a lighter would be easier, but I didn't have one), light the leaves on fire until they smoke and blacken around the edges. If you're using fresh sage, they aren't going to ignite, since they are too green, but they will smolder, creating the desired smoke. The drink is wonderful: tart like a good margarita but rounded out with smoke and herbal sage notes. It's a wonderful tribute to the flavors of the Southwest and, despite the effort, something I would gladly make again. 1. Combine the tequila, orange liqueur and orange juice in the glass half of a boston shaker. 2. 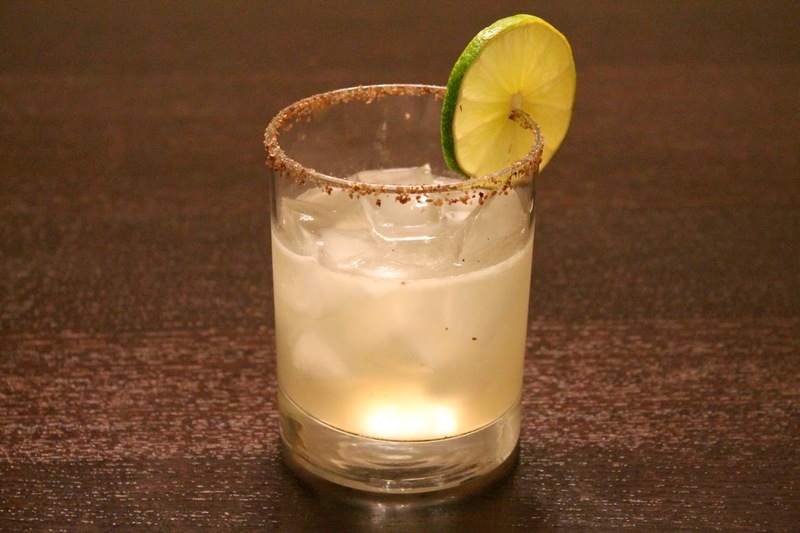 Rub the spent lime half around the rim of a rocks glass to coat it with lime juice. 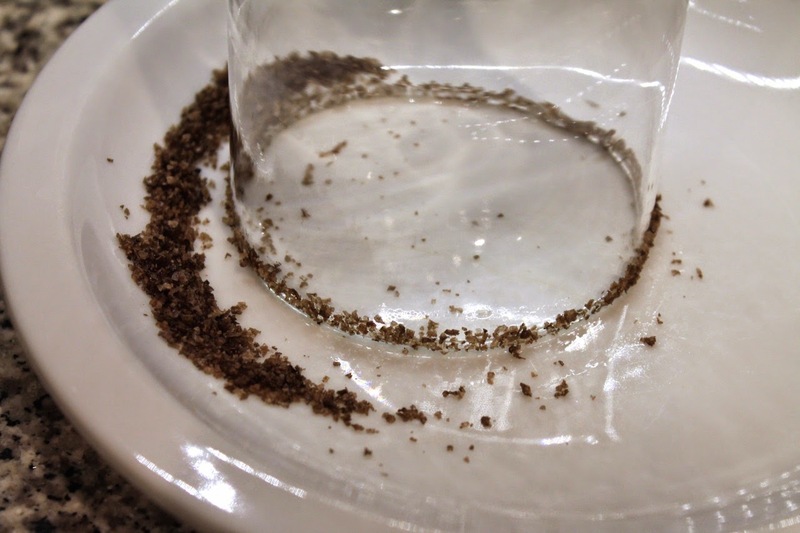 Put the smoked sea salt on a plate, then twist the glass rim in the salt to coat it (see photo above). 3. Place two upside-down pint glasses next to each other and set the metal half of the shaker upside-down on top of the glasses (see photo above). 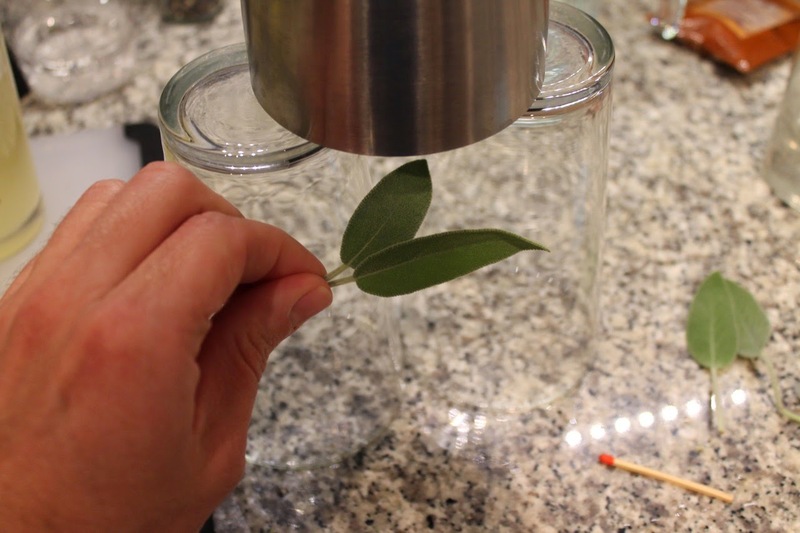 Hold the sage leaves by the stem directly under the inverted metal shaker cup. Using your other hand, strike a match (or use a lighter) and burn the sage leaves until they smoke and smolder around the edges (you may need several matches). Drop the burnt sage leaves into the glass shaker with the tequila and mixers. 4. Add ice to the shaker, then cover with the metal shaker (do not invert it, or you'll let the smoke out). Shake until cold. Fill the salt-rimmed glass with ice, then strain the drink into the glass. Garnish with a lime wheel. 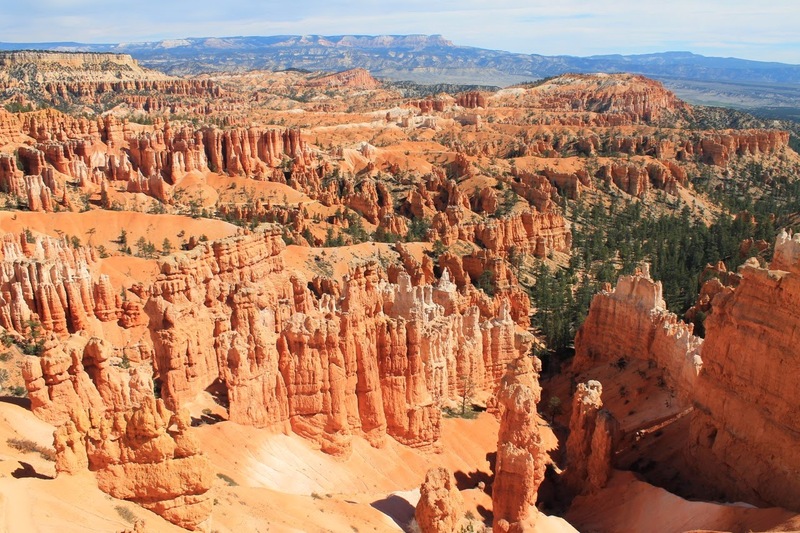 Bryce Canyon National Park is a beautiful place, but you can't eat it. 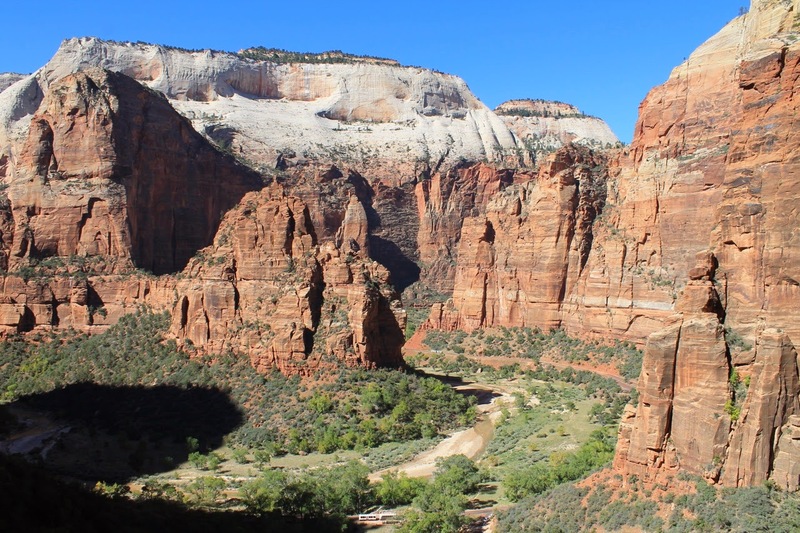 To find out what you can eat near this and other nearby national parks, read on. During our recent trip to national parks in Northern Arizona and Southern Utah it was hard to take a bad picture. The Grand Canyon, Zion, Bryce Canyon and Canyon de Chelly are so incredibly scenic that any amateur can take postcard-worthy shots. Also hard to do in this region? Find a good meal. Given that the draw is nature and not cuisine, it seems the latter is often an afterthought. The little towns that have sprung up as motel villages near each of these parks offered up a lot of over-priced, bland food delivered with indifferent service. Nonetheless, we were pleasantly surprised by some good and even a few great meals on the trip. Here's a rundown of the good, the bland and the ugly. The most popular national park we toured drew an amazing international mix of visitors, young and old alike. With such a diversity of potential customers, it's perhaps surprising that the Grand Canyon vicinity offers about the least interesting choices of restaurants. The motel town just south of the park, Tusayin, is dominated by fast food and steakhouses with decidedly nonplussed Yelp reviews. So, we steered clear of those places in the evening and instead headed to the town's Mexican restaurant, Plaza Bonita. It's immediately familiar--the kind of colorful, family-oriented Mexican restaurant with tacos, burritos, enchiladas and fajitas. Coming from D.C., where this type of restaurant is too frequently just mediocre, Plaza Bonita's food was surprisingly good. The fajita steak was marinated and flavorful, served with the kind of refried beans and Mexican rice that I love but don't often see at home. We also really liked the restaurant's basic Original Margarita, which leaves no doubt as to whether it contains tequila. Perhaps because we each knocked back two of these, our bill was a bit higher than we were expecting--something we had to get used to around the parks--so if you're expecting typical suburban Mexican restaurant prices, adjust those expectations upward a bit. It's a long drive between the Grand Canyon and the parks in southern Utah. There aren't a lot of towns, let alone good food options. But we did find a really great place to stop for lunch in Page, Arizona. Big John's Texas Barbecue is rather nondescript-looking from the inside and the outside, although the large black smoker out front--which they use to smoke their meats with mesquite and oak wood chips--should be a clue that you're for something special. The brisket is fantastic--tender and smoky. We made a great meal with that and a couple sides. 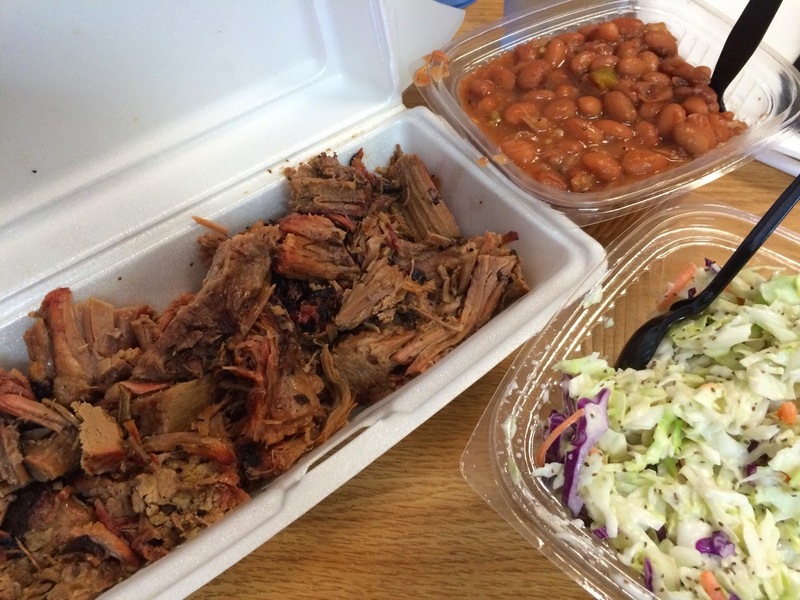 We so enjoyed Big John's on our way from Grand Canyon to the Utah parks, that we stopped in again on our way to New Mexico and tried the pulled pork and chicken sandwiches, which are served simply on a soft bun, and were just as tasty as the brisket. 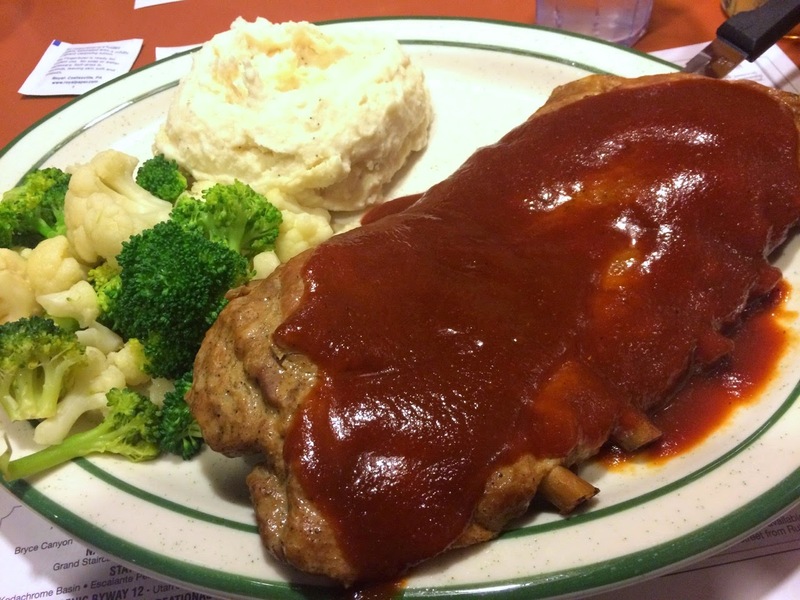 Big John's doesn't sauce their meat ahead of time, letting you apply as little or as much as you want of their spicy tomato sauce at the table. For sides, they offer the basics: a wonderful coleslaw dressed with just enough dressing and flecks of celery seed, a creamy old-school potato salad and cowboy beans. The food comes out pretty fast, but they also provide roasted peanuts at the table while you wait. Unlike Tusayan, Springdale, Utah, the town near Zion National Park, actually feels like a real town, with charming shops and restaurants lining the highway that snakes south from the park's entrance. Unfortunately, that didn't mean it was necessarily easier to find a good meal. I had high hopes for Cafe Oscar given its good Yelp rating and the half-hour line of people waiting to get in. The food was pretty good; I enjoyed my Salmon Filet Salad with a nicely cooked piece of fish and appreciated the addition of pistachios for crunch. However, we were disappointed the appetizer we ordered never arrived, and our server never returned to our table until it was time for the check--at which point it was too late to do anything about the forgotten appetizer. Perhaps we just hit Oscar's on an off night. I could imagine that sitting on their outdoor patio as the setting sun turns the Zion rocks a vivid orange-red could be a great way to unwind after a day of hiking. But we were motivated to find a different place to eat dinner our second night in Springdale. 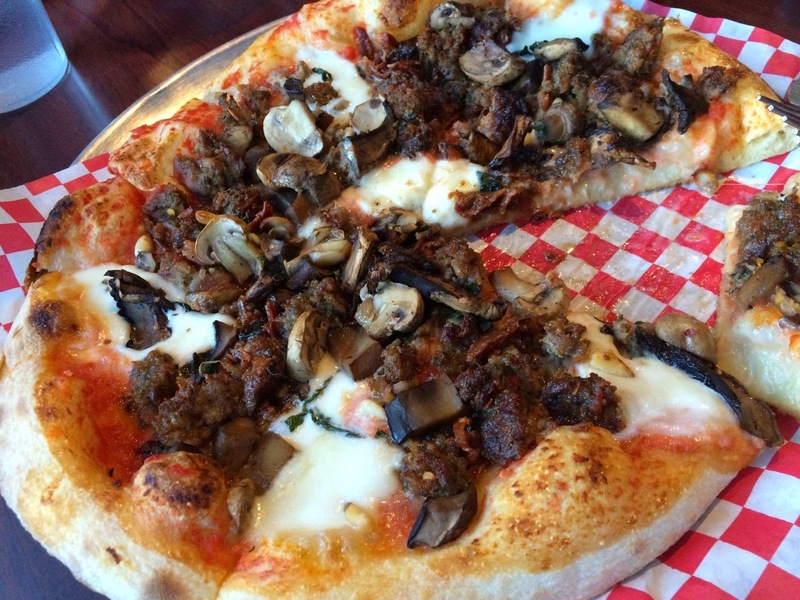 We had a much better time at The Flying Monkey, the local pizzeria serving delicious wood-fired pizzas. We chose the sausage pizza, which sounds plain but actually includes fire-roasted red peppers, fennel and a mix of mozzarella and romano cheeses, a great combination sitting on a nicely charred and chewy crust. We also had the chance to sample some locally made beer, the Full Suspension Pale Ale brewed in Salt Lake City by Squatters Brewery. Our service here was attentive and we enjoyed the relaxed, contemporary vibe of the large, open space. Unfortunately, Bryce Canyon City is more like Tusayan, if not worse. The entire town is basically owned by one family, creating a virtual monopoly on not only where you'll sleep, but where you'll eat too. Not wanting to spring for the cowboy-themed dinner theater, we opted for Ruby's Cowboy Buffet and Steak Room, which offers a buffet for $22 plus steak and other simple entrees served with two vegetable sides in that general price range (steaks are more, some of the other dishes like pork chops are a little less). If ever I felt like a trapped tourist, it was at Ruby's. This is pretty plain fare for this much money. Our ribs were decent and falling-off-the-bone tender, but the over-whipped mashed potatoes and limp, unseasoned vegetables were both uninteresting. The place was very busy and friendly but clearly overworked server didn't have much time for us. Bryce Canyon presented one of the starkest contrasts between our enjoyment of the view (see the first photo above) and the food. Our last park was Canyon de Chelly National Monument, a beautiful Y-shaped canyon in northeast Arizona carved from sandstone. One of the canyon's unique features is the ruins of the Anasazi Indians who lived in the area 700 years ago. Today, the area is home to the Navajo people; the best way to experience Canyon de Chelly is with a Navajo guide, who can tell you about the park's history and geology while also sharing personal stories about the area. Canyon de Chelly isn't as popular as the other parks we visited, but it's no less interesting. It's nice, actually, that there aren't as many people in this beautiful, peaceful place. The nearest town, Chinle, is probably where you would stay to visit Canyon de Chelly, and its food options are limited in the extreme. We ate at Garcia's because it was connected to our hotel and, based on available reviews, appeared comparable to the town's other full-service restaurant, Junction Restaurant. Dinner at Garcia's was fine. 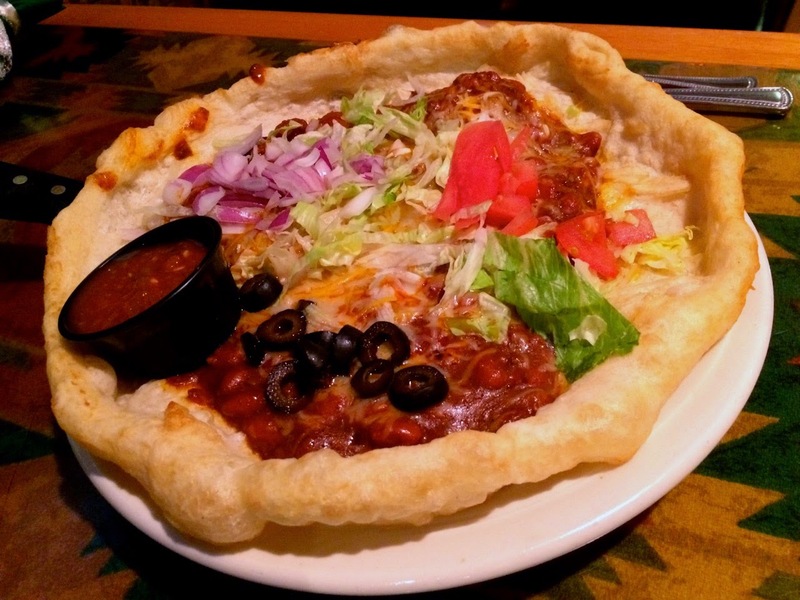 I had the Navajo Taco, a generous piece of Navajo fry bread topped with chili, lettuce, olives, onions and cheese. It sounds like heartburn-on-a-plate, but it was actually pretty satisfying. Even better was Garcia's breakfast: standard, but well-prepared fare like eggs and pancakes and really decent hash browns. The service, however, needs attention, as during both meals the restaurant seated us but then waited far too long to send someone over to take our order. Inside the park, we ate lunch at the Sacred Canyon Lodge, a cafeteria-style place that's convenient for a quick bite. Hoping for some authentic Southwestern fare, I had the posole, a pork and hominy stew that I expected would be spicy but was actually surprisingly bland (I would get good posole in Santa Fe, which I'll discuss tomorrow). While getting good food near the parks can be hit-and-miss, inside the parks, lunch in one of the park's old lodges proved to always be a great choice. All of them offer something similar: a comfortable setting in an old lodge and a satisfying menu with a selection of sandwiches and salads just right for a restful lunch after a few hours of hiking. In the Grand Canyon, we stopped for lunch at the El Tovar. Built in 1903, the majestic lodge has a view of the canyon from the Historic District along the south rim. El Tovar's club sandwich, made with brie, horseradish garlic mayo and duck bacon was unique and satisfying. The Red Rock Grill doesn't have the historical feel of some of the other park lodges, but it's still a beautiful setting with a similarly solid lunch menu. Our favorite was the lunch at Bryce Canyon Lodge, where I had the Sonoran Salad with grilled chicken, corn, bacon and feta cheese, and Chris had the club sandwich with smokey turkey, ham, bacon, swiss cheese and a wonderful sage aioli. The service at Bryce Canyon Lodge was also the best of the three park lodge restaurants, although all of them were friendly and welcoming. Despite some uneven meals, I cannot complain overall. And while it's definitely true that you go to this part of the country for the scenery and not the food, there are still some great eats to be had if you know where to look. 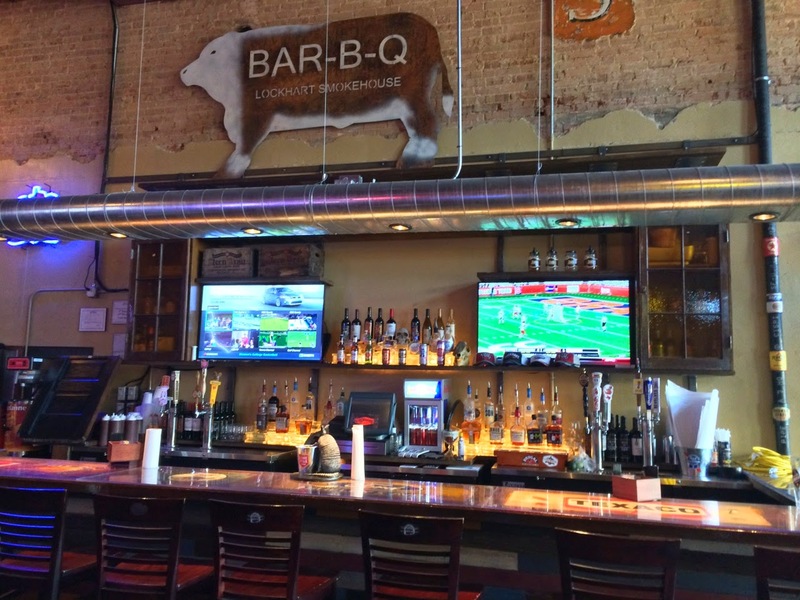 Best bets: Big John's Texas Barbecue (Page, AZ), The Flying Monkey (Springdale, UT), Plaza Bonita (Tusayan, AZ), park lodge dining rooms (various). 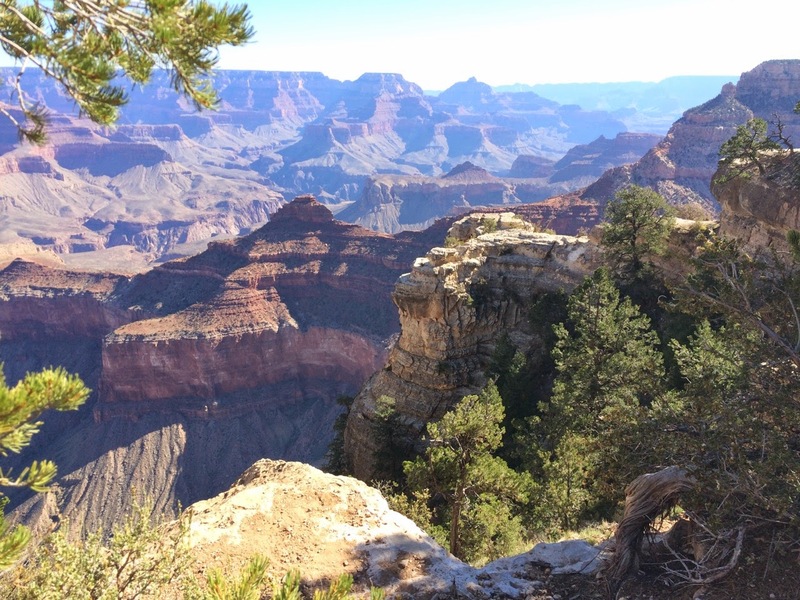 Last week, while my blog was "dark," Chris and I were on vacation traveling around national parks in the Southwest. Next week, I'll be sharing with you what we ate, a wonderful (well, mostly) mix of Southwestern delights like Mexican and barbecue, and a pretty amazing sage margarita in what might be my new favorite cocktail bar in Santa Fe. When you have a great time on a vacation, it can be hard to let go. So consider this Southwestern-themed fall grain bowl my attempt to hold on to some of those very tasty memories. Hominy is a new ingredient for me. I had it several times earlier this year at the Mitsitam Cafe at the Smithsonian National Museum of the American Indian and a couple of times during our recent trip as the key ingredient in posole, a spicy pork and hominy stew. Hominy is corn soaked in an alkali solution that loosens the hull and causes the remaining kernel to swell. 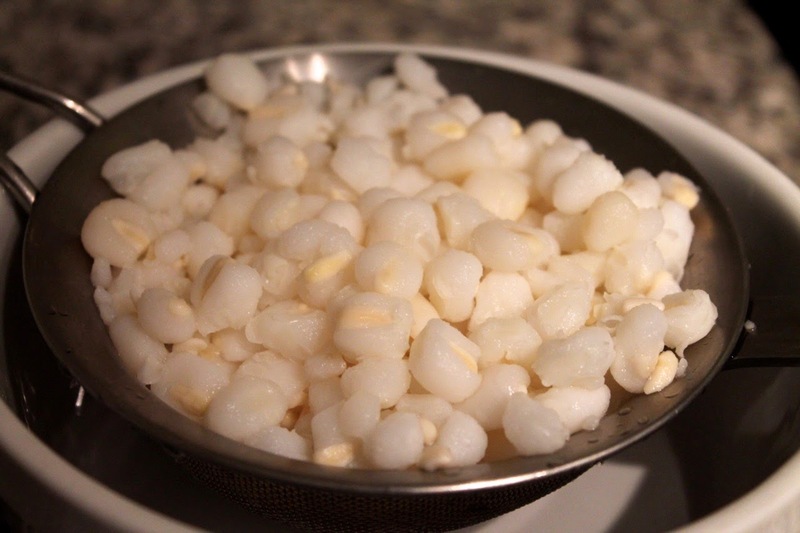 Dried hominy is used to make grits and corn tortillas. You can buy and cook dried hominy, which some say has better flavor and texture, but I used Goya canned hominy here, which worked fine. Giving it a few minutes in the pan with the onions helped it dry out a bit, and its texture, while probably softer than if I'd started with dry kernels, still had a nice chew. All over the Southwest, especially in Santa Fe, we saw large arrangements of dried hanging chili peppers, known as ristras, and a lot of our food was pretty spicy, so I gave this a generous dose of New Mexico chili powder, which is actually pretty mild as chili powders go, so don't use it too sparingly. I knew I had to have some sage in this dish, since it was a key component in the aforementioned margarita and also just a great herb in fall dishes. And pecans are a natural for Southwestern foods too, as they are native to Mexico and are grown in several Southwestern states. The resulting dish has a nice mix of sweet and spicy with a little bit of smoky too. It would make a great Thanksgiving stuffing actually. 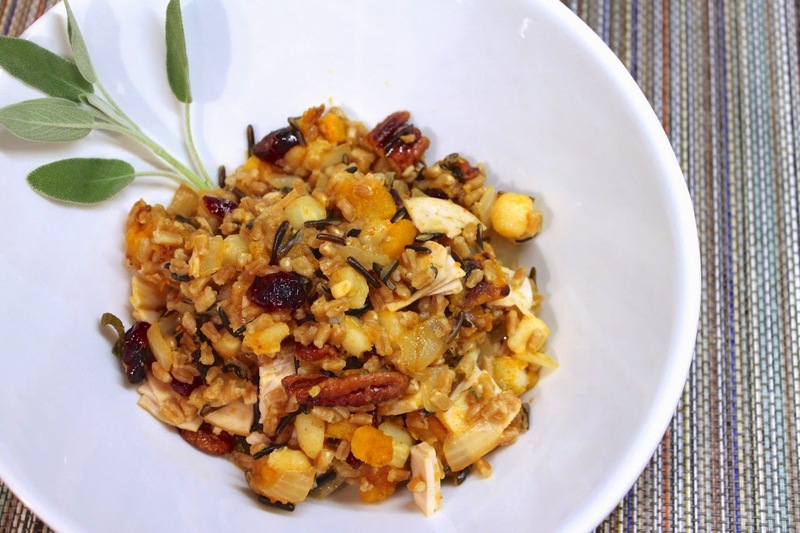 Vegetarians and vegans could easily omit the turkey and still have a wonderful dish. 1. Preheat oven to 475 F. Combine squash, 2 tbsp. olive oil and salt in a large bowl and stir to combine. 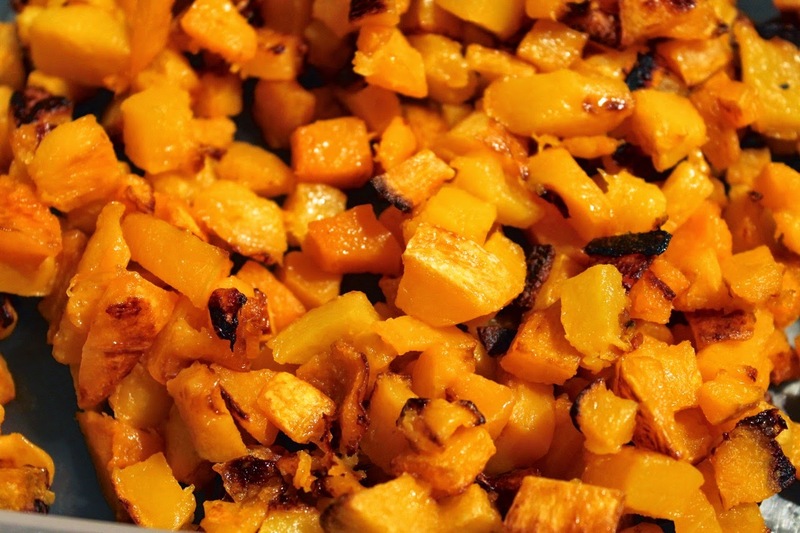 Spread squash on a baking sheet in a single layer and roast for 15 minutes. Stir and roast another 15-20 minutes until the squash is softened and lightly browned. Set aside (refrigerate if not using immediately). 2. Bring 2 1/2 cups of water to a boil in a large (4 qt.) saucepan. Add the wild rice and boil for about 4 minutes, then add the farro (cooking the wild rice by itself first adjusts for its slightly longer cooking time), cover the pot, reduce heat to low and simmer for about 15 to 18 minutes until the grains are cooked through but still a bit chewy. Drain of any remaining liquid and set aside. 3. Heat pecans in a small (8-inch) frying pan over medium-low heat. Once the nuts are fragrant, after about 5-6 minutes, sprinkle with chili powder and salt, then drizzle with the agave nectar. Stir to coat the nuts evenly and continue cooking until the agave has evaporated into a thick coating. Remove from heat. 4. Heat 2 tbsp. olive oil in a large sauté pan over medium heat. Add the onion and sauté until lightly browned, about 10 minutes. Add the hominy, then season with salt, chili powder and cumin, stirring to combine. Cook a couple minutes until the hominy has dried out a bit, then add the sage, dried cranberries and turkey. 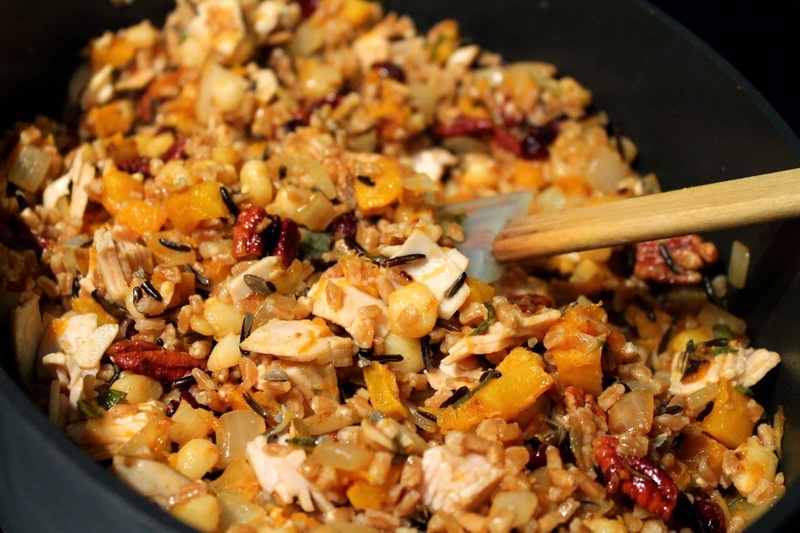 Add the roasted squash, cooked grains and glazed nuts, stirring until evening combined and heated through. Serve mixture in shallow bowls. It's that time of year where roasted chicken and stuffing makes such a satisfying meal. This is a play on the roast chicken with bread salad I've made before that was made famous by San Francisco's Zuni Cafe. Olive oil, spray or about 1-2 tbsp. 1. Make the bread cubes: Preheat oven broiler with rack 9 inches below the broiler. Spray bread cubes evenly with olive oil (or toss with 1 or 2 tablespoons) and spread on a baking sheet. Broil until lightly browned, about 2 minutes. Turn the bread cubes over and broil for another minute until browned on the other side. Set aside to cool and dry out. Transfer bread cubes to a large bowl. 2. Preheat the oven to 350 F.
3. Cook the vegetables: Heat butter and 1 tbsp. olive oil in a large sauté pan over medium heat. When hot, add onion, celery and garlic. Season with salt and pepper, sprinkle with 1 tbsp. sage and 1 tbsp. thyme and sauté until the vegetables have softened, about 10 minutes. Remove vegetables from pan and add to the large bowl with the bread cubes. Add the currants and pine nuts to the bowl. 4. Cook the chicken: Increase the temperature under the sauté pan to medium-high and add another tablespoon of olive oil. Pat the chicken thighs dry with paper towels, season with salt and pepper and add to the pan. Sprinkle thighs with herbs and cook until brown on one side, about 3-4 minutes. Flip the thighs over and brown the other side, about 3-4 more minutes. 5. Add the chicken broth to the bowl with the bread cubes and vegetables and stir until the liquid is absorbed. Spray a 9 X 13 roasting pan with olive oil. 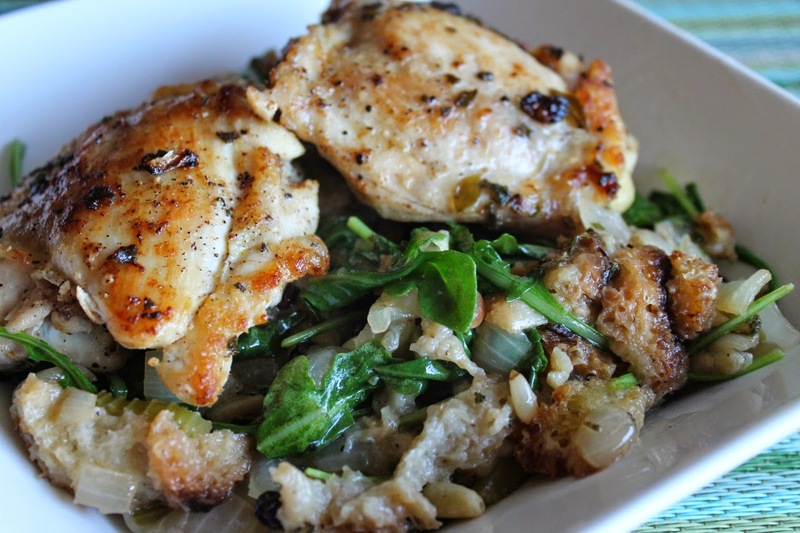 Spread the bread-and-vegetable mixture evenly in the roasting pan and place the chicken thighs on top. Use a spatula to scrape any bits from the sauté pan and spoon on top. Roast until the chicken is cooked through, about 20-25 minutes (chicken should reach internal temperature of 170 F). Remove the chicken thighs, set on a plate and cover with foil to keep warm. Stir the bread-and-herb dressing and roast for another 10-12 minutes. 6. Serve the chicken thighs on plate or in shallow bowls on top of the dressing. 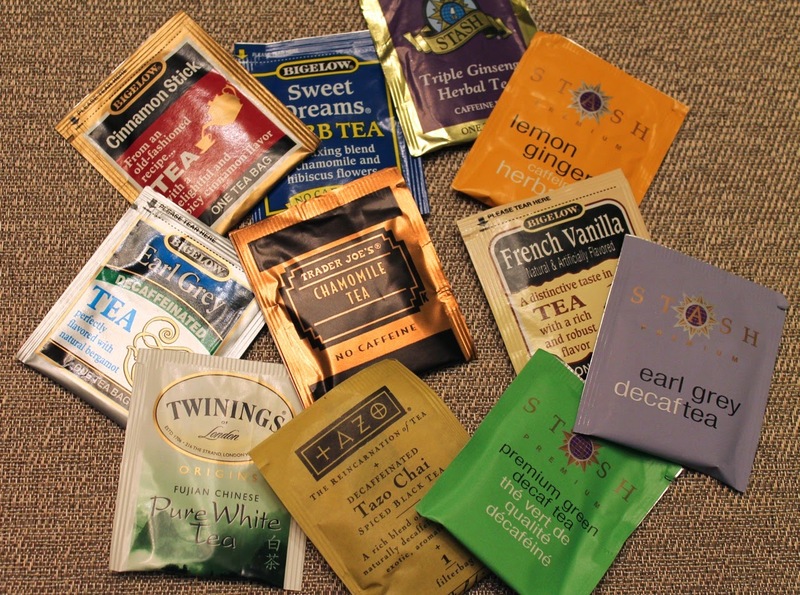 Tea bags may be convenient, but as Bonnie S. Benwick writes in the article below, there is a better way. Washington Post: "Tea Might Become Your Favorite Hot Beverage, if You Ditch the Little Bags," by Bonnie S. Benwick. As a typical American, I start my day with a cup of coffee (cup and a half actually, down from the former two). But around the world, tea is the hot drink of choice, especially when brewed with higher-quality loose-leaf tea instead of the easy but less-flavorful bagged variety that are so popular here. Reading Benwick's article inspired me to make my first cup of tea in a long time, and might just get me to pick up some loose-leaf tea at Teaism soon. Washington Post: "Ten Fruits and Vegetables You're Storing Wrong," by Candy Sagon. Articles about produce storage have been done before, but it's so easy to forget the rules, so I appreciated this reminder that includes good tips like not storing fruits and vegetables together (gas the fruit gives off will speed decay of the vegetables) and not washing them ahead of time (the moisture promotes bacteria). Sagon goes on to provide specific tips for 10 fruits and vegetables. Washington Post: "Plate Lab: When Squash and Celery Root Turn into a Dish of 'Noodles'," by Joe Yonan. Treating spaghetti squash like pasta is a popular trick this time of year, but Yonan writes how D.C. restaurant Thally (a great place I visited earlier this year), is turning butternut squash into its own unique "noodle" dish. Check out the accompanying video. New York Times: "Washington Has More on Its Plate," by Jennifer Steinhauer. Should I consider this an olive branch or sorts? An article from the New York Times actually talking up the D.C. restaurant scene? Sure, this year D.C. was named coolest city by Forbes and best city to travel to by Lonely Planet, but when it comes to eating out, D.C. has long had a inferiority complex in comparison to the Big Apple. While I think the latter still wears the national dining crown, there are a lot more jewels in D.C. these days. It's nice to see that publication from up north taking notice. New York Times: "As American as Tarte Tatin," by Julia Moskin. Moskin describes French Tarte Tatin as a dessert much simpler to assemble than pie consisting of apples, caramel and crust. Need I say more? Sold! Wall Street Journal: "Recipes That Take Tahini in New Directions," by Louisa Shafia. If you're like me, you might have a tub of tahini in the fridge because you bought it to make hummus. Turns out the nutty sesame paste with a texture like super runny peanut butter has lots of other great uses too. 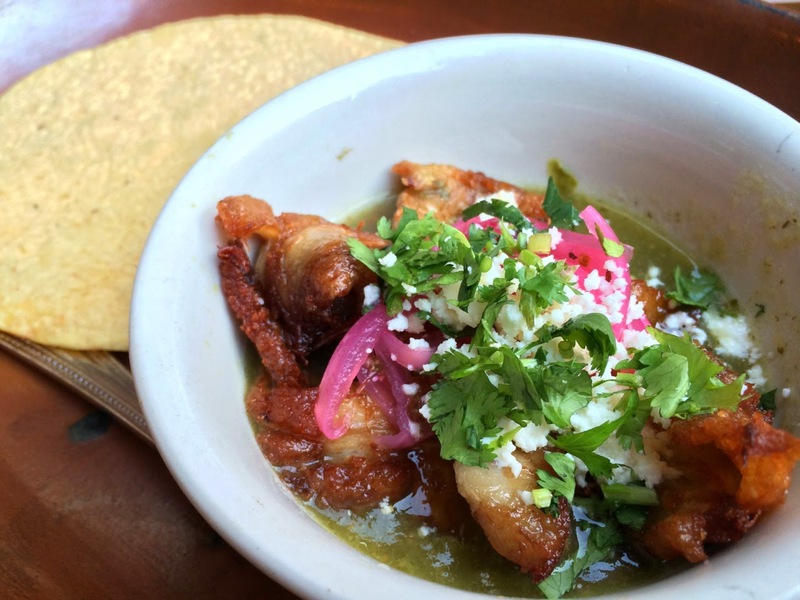 Chef Alex Stupak of New York's Empellón Taqueria serves it with eggplant, for example. This article got me thinking, what would it be like in a cookie? Los Angeles Times: "Soaking Beans? In Most Cases You Don't Need to," by Russ Parsons. Every recipe I've ever seen that calls for dried beans also calls for soaking them overnight, which means 9 times out of 10 I reach for canned beans instead, since I don't have to think about the pre-planning of a 24-hour bath. Well guess what, Parsons dispels the notion of a required soak, noting that instead you can just cook the beans a little longer until they are tender. Genius! (I actually did this with the Smoky Pinto Beans I made last year). Eater: "How the Aperol Spritz Became Italy's Favorite Cocktail"
It's Cocktail Week over at Eater, where I've been enjoying in particular the D.C. coverage. This story, from the national site, chronicles how the Aperol Spritz became so popular in Italy. Mario Batali: "A Kernel, and the Truth," by Jim Webster. This is just a shout out to Jim Webster (D.C. writer who co-wrote with Mario Batali the new book America--Farm to Table), who, like me, is bemoaning the fact that New Morning Farm's corn season has passed, and it will be many long months before we can enjoy those wonderful, sweet ears again.